Ever feel like the universe is looking out for you? I know that may seem like an exaggeration, and I would agree, but I found it interesting that just as I was starting to research this blog post, and failing to find real, scientific information about dermal micro needling, I discovered that the there was a great article on the subject in the February issue of Les Nouvelles Esthetiques and Spa – A Collagen Boosting Alternative: Dermal Micro Needling. Not only did I come across the article I just mentioned pretty soon after coming across that article I was finding articles about micro needling from legitimate sources in different places. So with the help of these articles let’s jump right into the whole subject of micro needling. The principle of skin needling is to stimulate the body’s own production of collagen. DMN involves the use of a sterile roller, comprised of a series of fine, sharp needles to puncture the skin. Medical needling is performed under a local anesthetic; the needling device is “rolled” over the surface of the face to create many microscopic channels deep into the dermis of the skin, which stimulates your own body to produce new collagen. At a microscopic level, proliferated skin cells, such as fibroblasts, migrate to the point of injury and transform into collagen fibers, resulting in increased fiber strength and elasticity. This treatment improves your skin by increasing production of collagen, facilitating natural repair and growth and making the skin stronger and thicker. The new collagen fills depressed scars and wrinkles from the bottom up, lifting the depression so they are level with the surrounding skin. 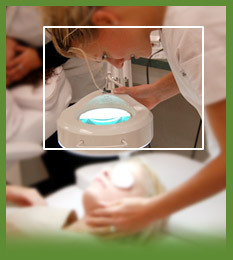 This process takes two to three months to produce visible results, and can also help thicken thinner, fine skin types. There are a few different type of dermal rollers, which is what the dermal micro needling devices are called. The ones designed to be used at home have shorter needles than those used by physicians. Dermal micro needling can be combined with other skincare treatments and products in order to enhance the collagen building results. Additionally, the procedure can be used on all skin types. The side effects are mainly varying degrees of redness; the amount of redness depends on how long the needles used were and how deeply they entered the skin. Potential complications can arise if the healing skin isn’t cared for properly. Those complications can be infection, scarring, an outbreak of cold sores if you are prone to getting them, and even post inflammatory hyperpigmentation that can last up to 12 months. Proper care after treatment involves the use of healing creams or ointments along with a broad spectrum spf for the first day or two after the treatment. Depending on what you want to fix about your skin you may need between 3 to 8 treatments spaced 3 to 4 weeks apart. DMN has been used successfully to treat fine lines, wrinkles, lax and sun damaged skin to reduce the appearance of stretch marks; improve acne ice pick scars; and induce hair’s regrowth. It has also been used to tighten skin after liposuction. The advantages of this procedure are that the skin becomes thicker, with an increase in collagen deposition exceeding more than 400 percent. Depends on who you ask. Personally, I’ve seen some pretty dramatic before and after photos – so dramatic, in fact, they made me even more skeptical than before. However, there have been a few scientific studies showing micro-needling to be effective in the treatment of scars. On the other hand, I have seen TV interviews with doctors who have seemed to be saying that its real value lies in its mechanical exfoliation action on the skin. In researching how it works, it seems like it certainly could be effective for at least some of the conditions it claims to treat. However, I also believe that only time will tell just how effective it is, and whether or not it’s worth it. Most of the claims about wrinkle reduction and new collagen growth come from the manufacturers of the rollers or those members of the medical community who are associated (remunerated) by those companies. What’s important to keep in mind is that in most cases, patients in the study also used a topical Retinoic Acid or Retinol based product in conjunction with the skin needling. However some independent dermatologists do claim to see positive scar reduction outcomes in their patients, and another upside is that it does offer a cost effective alternative to fractional laser resurfacing. In general, skin needling is a long term commitment of 1-2yrs of combined in office and at home treatment. The effects of skin needling differ according to needle gauge, length and the manual pressure that’s used with the roller. Therefore the level of skin invasion and subsequent inflammation on the skin can vary from gentle stimulation to piercing the skin and drawing fluids, i.e. blood and lymph. With the variances of effects skin needling rollers can have, most devices are disposed of in the appropriate biohazard container or are properly sanitized and given directly to the same client for at home use. Whichever method is observed, it is important that correct sanitation measures are followed to prevent the chance of cross contamination from occurring. As with many methods, it’s vital to respect the boundaries of medical, professional, and at-home tools, and skin benefits shouldn’t be confused. Dermabrasion, microdermabrasion, and crystal-containing scrubs come to mind! The marketing hype can baffle the end user and incense the professional! A roller with wide gauge, short length needles that are under 0.25mm in length is generally non-invasive and cannot cause trauma to the skin, but rather it stimulates and provides gentle exfoliation while increasing superficial circulation. This action, much like manual massage and other electrical modalities, may enhance the penetration and absorption of active ingredients into the deeper layers of the skin. Therefore, additional age fighting skin benefits can be achieved when skin needling is combined with products that contain collagen boosting and skin fortifying ingredients like Retinol, Vitamin C and Peptides. The longer, thinner needles around 1.0mm or 1.5mm in length are more hazardous; the potential for breaking the skin, drawing fluids, causing injury and subsequent risk of infection is much higher. Extreme caution must be used as this is considered highly invasive and high risk. It may also be beyond a skin therapist’s legal scope of practice. Therefore, this procedure is best conducted under medical supervision as adverse reactions and post procedure complications can occur. When the barrier of the skin is compromised to this degree, bacterial skin infections, adverse skin reactions, post inflammatory hyperpigmentation and premature aging (due to inflammatory mediators being drawn to the area) can result. Products that are calming and anti-inflammatory would be ideal to soothe any inflammation post needling, and for pre-care the most important aspect is that the skin is thoroughly clean to prevent any possibly risk of infection. In my opinion the jury is definitely still out on this skin treatment. I would like to see more real scientific research done on the subject before offering a concrete opinion if this is a skincare treatment to pursue. If you are an esthetician who does micro needling I would love for you to comment below, and if you have tried micro needling please comment below as well. My Experiment with Micro Needling – Gouldylox Reviews – a great first hand account from a real person trying micro needling. By the way, this is a great blog for make-up tips and tricks. Genuine Dermaroller Therapy Review – Love Lust and Fairy Dust – another first hand review of derma rolling. This time the derma rolling was done by a doctor. If you have a lot of fine facial hair perhaps you have wondered what the best way was to get rid of it? Or have you ever considered why you shave your legs but don’t use a razor on your face? Have you heard of dermaplaning and always thought “what the heck is that?”. I hope this post will clear up all that confusion. 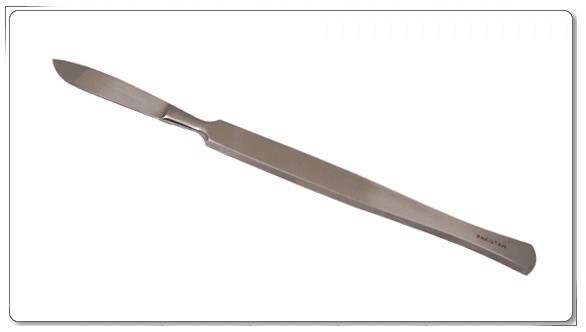 From an esthetic perspective, dermaplaning has been performed with a scalpel or a disposable safety razor. Some practices may advertise dermaplaning as an exfoliation treatment, while others use the procedure for hair removal. Hormonal changes in women affect the skin and body, and esthetic dermaplaning essentially shaves vellus hair from the face. Aside from the loss of elasticity, skin thinning and dryness, vellus hair on the face becomes a visible problem on middle-aged women. … Facial waxing is still a common practice for the removal of this hair, but the procedure is prone to many problems. The hair is so fine that gentle facial waxes may not pick it all up, and a mature women’s skin may be susceptible to burning and tearing. Combine these variables with exfoliation treatments, cosmeceutical skin care product use at home, and/or use of certain prescription drugs-and the risk of damaging the skin and causing discomfort is even greater. Dermabrasion is most often used to improve the look of facial skin left scarred by accidents or previous surgery, or to smooth out fine facial wrinkles. It’s also sometimes used to remove the pre-cancerous growths called keratoses. Dermaplaning is also commonly used to treat deep acne scars. Well Isn’t It Just Shaving? When it comes to the removal of unwanted hair, women have myriad options. There’s waxing, tweezing, threading, sugaring—all manner of materials and mechanisms to get to the root, as it were, of the problem. Shaving, the most primitive of depilatory forms, has gotten a bad rap in the face of all of these new-fangled approaches. Taking razor to legs still happens with presumed regularity, but gliding these handheld tools against the grain of face fuzz is totally taboo, thanks to the warning that’s been passed from generation to generation: If you shave extraneous hairs, they will come in darker and thicker. Or will they? “It’s a total myth,” aesthetician to the stars Kate Somerville maintains, an opinion she shared with us just a few hours ago in an intimate setting to discuss a bevy of new product launches and her own maintenance must-haves. On good authority (that being Elizabeth Taylor’s personal cosmetic dermatologist, whom Somerville used to assist), the greats (those being Elizabeth Taylor and Marilyn Monroe) shaved their faces for completely bare skin and an added dose of exfoliation. Somerville herself is a firm believer in the power of the razor—one in particular: Gillette’s Mach 3. Believe it—and ask your S.O. to buy a two-pack next time he’s in need. I keep reading that Japanese women regularly shave their faces, though I can’t find real proof for this statement, so why are American women so reluctant to shave their faces? Maybe that will change in the future. Weigh in with your opinion on this issue in a poll on the Huffington Post website. Determining whether or not a woman shaving her face is socially acceptable may not have a solid answer today. Some women only shave when their significant other is not looking, some shave next to their significant other, and some will not even entertain the thought-even though they may have had dermaplaning performed by their skin care provider. The status quo has not settled on whether or not it is acceptable, but that may change in the future. Most public information about female shaving focuses on the exfoliation aspects, and how it gives the skin a refined appearance and healthy glow; the hair removal is just another perk that comes with the process. In the meantime, dermaplaning with a disposable, single-use safety razor or eyebrow razor in the treatment room is the safer alternative to facial waxing or light-based hair removal. Though I work for a plastic surgeon I do not perform dermaplaning. Once I saw a demo of dermaplaning done on a young woman who had fine, very blonde hair all over her face. The procedure did an excellent job of removing all that hair. Then I was given a scalpel to practice on a fake head, but I have to say that it was very intimidating to think that I could on day use a scalpel on a real, live person. If you are interested in this procedure be sure to go to someone who has been properly trained in order to avoid any unexpected injuries. If you shave your face or know someone who does please comment below. Or if you are an esthetician you performs dermaplaning please comment below. Awhile back I wrote a post about why you should go to an esthetician and how to find a good esthetician. Prompted by two things I’ve read lately I’ve been thinking about the same subject just with a bit of spin on it. I started thinking about an esthetician’s behavior while doing his or her job and if there are tried and true standards for how we estheticians should behave on the job. Though I envisioned this post as a starting off point of discussion for my fellow estheticians, I know that a few other estheticians read this blog, I would love to hear from anyone who has an opinion of this topic. The hairstylist/aesthetician/manicurist who spends her time trashing the job the last person did on you is the hairstylist/aesthetician/manicurist you to replace, stat. Truly talented people focus on bringing out the best in you, not telling you what’s wrong with you. Now this is actually beauty advice I can get behind and agree with. In my opinion, one of the important parts of being a good esthetician is to focus on both the positive and on the client in front of you. So part of behaving in a professional manner as esthetician is to remain upbeat and to give clients a truly personalized experience. Even if you think the last esthetician your client saw gave them terrible or incorrect advice you have to be extremely diplomatic about how you present your opinion. I think some of the points above are excellent in particular the ones about following safety and state guidelines, constantly learning, and keeping up-to-date with technology and trends. I do believe that a professional, neat appearance is a must though I think there should be a lot of leeway about what that means exactly since different spa settings have different ideas of what is appropriate. I truly believe that individuals should be allowed to express their personality through their clothes, jewelry, hairstyle, etc. in when they work in a spa setting. From personal experience I do sometimes find it tough not to veer into inappropriate topics of conversation with my clients. Two topics that should always be off-limits in a conversation with clients – religion and politics. Believe me – I’ve learned the hard way. Recently I even had a client tell me something about a recent historical event that I thought was so outrageous I couldn’t believe she thought what she was saying was true. I quickly changed the topic of discussion and reminded myself again – be careful about what you talk about with clients. I also struggle with maintaining my spa voice. Once I start an animated conversation with a client my voice can rise without me even realizing that this is happening. I have to constantly remind myself to keep my voice down. I loved the fact that the author of the article mentioned that estheticians need to be sincere. I think that is of the utmost importance along with being honest. Don’t oversell anything to your clients – treatment results, product efficiency. I like to always remember the following: under sell, over deliver. And try not to be pushy. Some estheticians have a quota for the amount of products that they have to sell monthly which puts a lot of pressure of them. Professional esthetics publications are filled with articles about how to improve your selling ability. This doesn’t come naturally to a lot us, me included, and can cause an esthetician a lot anxiety. The experts always tell estheticians – recommend don’t sell – but so many people can see you as pushy anyhow. It is hard to find that balance, in my opinion. But your clients will trust you more in the end if you are honest and sincere with them. You might not sell a lot of extra products or treatments at the beginning, but once you win a client’s trust you will have an easier time selling. Of course all of that is easier said than done – believe me, I struggle with the above issues a lot. The one thing I would quibble with in the above list in the statement that estheticians have to always wear gloves. Of course I always wear gloves while performing waxing services and while doing extractions, but otherwise during a facial I don’t wear gloves. I constantly disinfect my hands with hand sanitizer throughout a facial. I think the facial, particularly the massage part of the facial, is much more enjoyable for the client when you do not use gloves. One more point – we all have bad days and can have a crisis that happens to us outside of work (or unfortunately sometimes at work). But we can never let that influence how we treat our clients or even let our clients see that we are unhappy. Estheticians have to check their bad feelings and bad days at the door. If we want our clients to return to us remaining upbeat and positive is key. So is being friendly to whomever walks through the door, even to our most annoying client. I also think estheticians need a few more qualities in order to be successful -namely compassion and empathy. For example you could have a client who comes in complaining of acne, but their skin really isn’t too bad. So while you know just how much worse acne can really be, you still need to sympathetic and empathetic towards that client who thinks that their acne is the worse acne ever. It doesn’t matter what we really think of the condition of their skin. If they think it is terrible than we need to treat their skin thusly or at the very least never verbally contradict them. It can be a real balancing act. That’s are my two cents on the subject. I would love to hear from my readers about this topic!